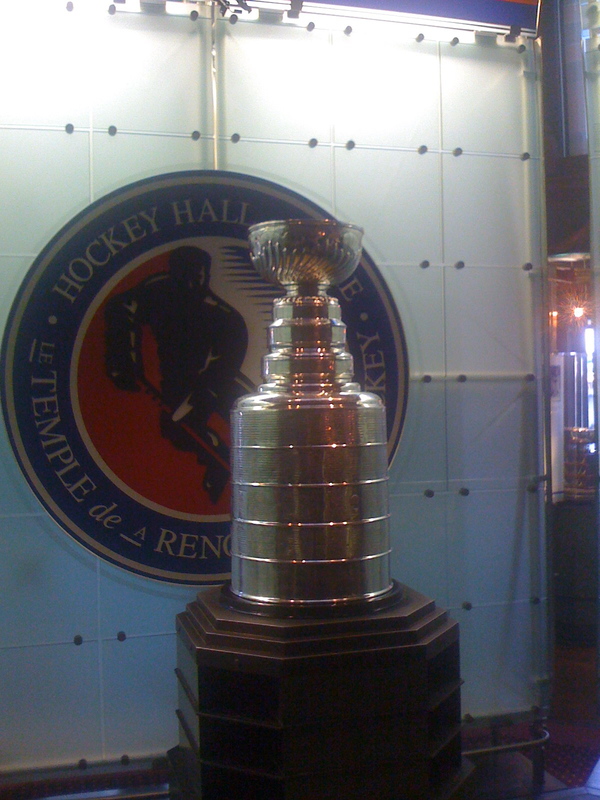 We had some leadership training in Tronto this week for work and the second night they surprised us with an event at the Hockey Hall of Fame. We had the whole place rented out, had dinner in the Hall of Records, and then got to hear Jimmy Craig (goalie from the 1980 US Olympic Hockey Team) speak. Was a great event and Jimmy Craig was phenomenal. 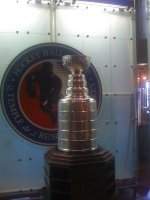 Yes, that is crappy cell phone pic of THE Stanley Cup.